Memberships are now open for the Air Force Radar Museum Association.This is the beginning of the National Air Defense Radar Museum, and we need your support. Click the link below to apply for your membership. Radomes is now a subsidary of AFRMA, Inc. AFRMA is a non-profit organization, however, membership dues are not deductible. The Air Force Radar Museum Association is a 501(c)(3) charitable Foundation, and its projects, the Online Radar Museum and the National Air Defense Radar Museum, are tax-deductible charitable functions of AFRMA. Contributions and gifts to the Association and/or museum, expenses incurred for museum research, mileage, mailing, etc. are tax-deductible. Help build & support the NADRM - Buy a commemorative brick! 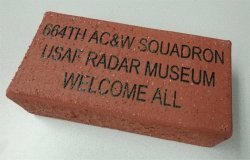 Welcome to the Online Air Defense Radar Museum, the online portion of the National Air Defense Radar Museum, a project of The Air Force Radar Museum Association, Inc. This is a museum, not of physical hardware, electronics, musty old books or other artifacts, but rather a virtual museum of online documents which contain (or will contain) the history of the U.S. Air Force in the defense of the airspace of North America and elsewhere around the globe. This is a living work, continuously updated with new material. We never close, you may visit anytime. Please sign our guestbook, and feel free to post questions, notices, etc. in the "Radar Forum" BBS. Check "What's New" frequently for new displays. Our primary mission and current focus is to document Aircraft Control and Warning (AC&W) Squadrons, (later called simply Radar) Squadrons which were in the United States, both the "lower 48" and Alaska, and Hawaii. We are also documenting certain overseas sites which were front-line Early Warning sites, located in Greenland and Iceland, Europe, Asia, and North Africa. Only Canada is omitted, as the radar stations there (Pinetree Line, Mid-Canada Line, and DEW Line) are thoroughly documented on other web sites. We will also be documenting ground-to-air missile sites, such as BOMARC (and also Nike Missile command-and-control sites that were shared with the Air Force). We also document Air Force / NORAD command-and-control direction centers and control centers, manual and SAGE. All entries are treated as ''Radar Sites'' on our Search page. While some of the documentation is a result of the work of the principals involved with the site's creation and maintenance, a large and growing portion comes from Air Force veterans who served on these sites and their families. This site is a "labor of love" for those of us directly involved. This is not a commercial venture, and you will find no advertising to annoy you. We will be providing links to known Web sites of various USAF AC&W Squadrons which were located overseas, as well as other sites of interest to radar, Early Warning, and Cold War topics. This site is dedicated to the thousands of U.S. Air Force "Cold Warriors" who served, mostly without recognition, during the Cold War period following the Second World War, up to the present day. This dedication is extended to the other branches of service -- the US Army, the US Navy, the US Marine Corps, the FAA, the Air Force Reserve, the Air National Guard, and many civilian organizations (e.g., AT&T, MIT, Bell Western, General Electric, Westinghouse, Sperry Gyroscope, Avco, Bendix, Raytheon, IBM, etc.) -- and many others who contributed to the air-dense systems. .
U.S. Air Force vets who served at AC&W radar sites, command-and-control sites, air-defense missile sites, and related sites are encouraged to contact us, Gene McManus or Tom Page. We can always use information about an individual AC&W site; documents, photos, stories, etc. are all welcome. It may take us a while, but we'll return all loaned material after scanning into our computers. If you currently live near an abandoned AC&W site, or working U.S. Air Force early warning radar installation, you can contribute to this site by taking photos of the radar station as it exists today. Please get permission first; most of the old sites are now private property. See our "Tips" page for some ideas here. We can scan almost any format, and will return your photos after we've completed the scanning operation. For a humorous, but nonetheless realistic look at what it's like to be an old military base researcher (that is a researcher of old military bases, not necessarily a reflection on one's age), take a look at Scott's "You Might be a Gung Ho Military Base Researcher If..." page. This is an Unofficial site, prepared and maintained by U.S. Air Force veterans. It is not in any way sponsored by, approved by, or otherwise sanctioned by the United States Air Force. 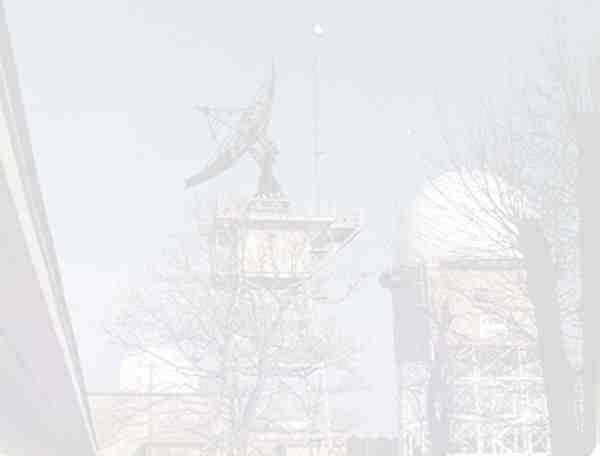 Radomes, Inc. is a division of the Air Force Radar Museum Association, Inc. The entire contents of this web site is the property of the Air Force Radar Museum Association, Inc. and the National Air Defense Radar Museum and is © Copyright 1998-2019, AFRMA, Inc., All Rights Reserved. 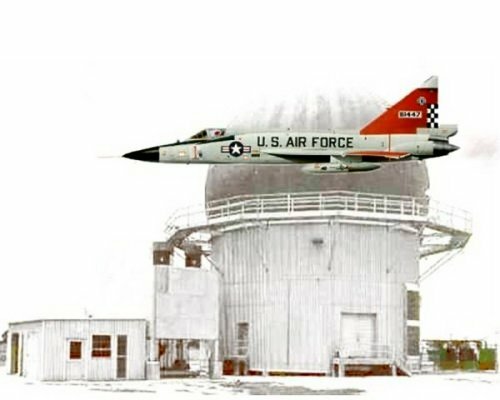 Permission is granted to copy portions for non-commercial use, provided that appropriate credit is written as "Courtesy National Air Defense Radar Museum, http://www.afrmaonline.org, all rights reserved". Copying for any commercial use is forbidden without express written permission of the Air Force Radar Museum Association, Inc.
Use of any material posted on this website constitutes explicit permission for reciprocal use of the borrower's materials.